One of the most useful but often overlooked features in DeskManager is the Reporter tool, which allows you to capture tons of useful data about your business. Today, we’re going to take you through a little bit of Reporting 101. To access the Reporter tool in DeskManager, click Reports at the top of DeskManager, then click Reporter. From the Reporter window, click New to create a new report. 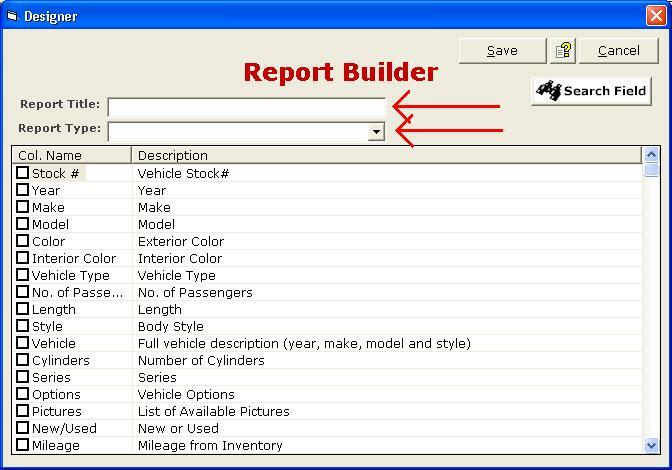 From the Report Builder window, you must first name the report, then tell DeskManager what type of report you want to create. Next you can tell DeskManager which fields you would like to add to your report. To add a field to your report, simply click the checkbox next to that field name. You can also use the Search Field button to find a specific field. After you’ve specified all the fields you want, click Save to save the report. Your new report will now appear on the Available Reports window. To run the report, simply double-click the name of your report. Once your report is open, you can change the width of the columns, and reorder them by dragging and dropping. You may also want to add or remove some fields on your report after it is created. You can do this by highlighting the report you want to edit and then clicking Open at the top of the window. This brings you to the Field Editor window. From here you can add or delete fields from the report. Make sure you save and exit whenever you edit your report.